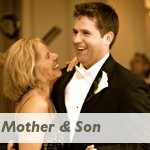 Your Wedding Reception Music is totally open and dependent on the atmosphere or mood you want to create. You should start giving some thought to this mood or atmosphere as soon as you have booked your date with your venue of choice. Your venue will of course also to a certain extent contribute to the type of music you choose. A five star hotel venue will almost definitely have a different "vibe" to a marquee tent on the beach. 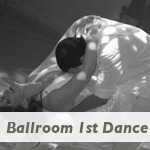 You also need to decide whether or not there will be dancing at your wedding. Now that you have your venue, start thinking about whether or not you would like a live band or a DJ to provide the music for your wedding reception. This is not only dependent on your taste in music, but also on your budget. To help you with this decision, read the article [link] Live Band vs DJ. 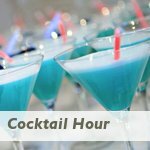 Sometimes you can have the best of both worlds when choosing your wedding reception music by having a band play during your cocktail hour and even as background during dinner, and have a DJ take over from the First Dance. The reception entertainment you choose will make or break your wedding. Your guests will forget many of the small details of your wedding like the favors and the flowers or even the food, but they will most probably remember whether they danced, laughed and had a good time. Every group of guests at a wedding take on their own personality and forecasting which songs or music will work best is often more of an art than a science. That said, a skilled DJ or band leader will be able to read the crowd and create a great party while incorporating your and your fiance's special wedding reception songs and requests. So, how do you go about choosing your wedding reception music when you are a rock fan and your fiance prefers house music, your mother is a Frank Sinatra fan, but your father likes the Bee Gees, you have your friends from college to consider, and your younger sisters are very into their up to date hip hop? 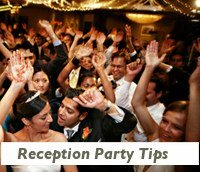 While it is certainly true that it is your and your fiance's wedding, you also have to consider all your other guests if you want to ensure that they all have a good time. Weddings generally consist of a wide range of ages and music tastes and finding the balance and trying to please everyone is a daunting task. Above all that your choices in wedding reception music is almost endless. Don't despair. 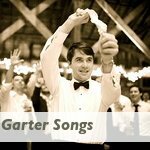 You may ask: "How do I start on planning the music for my wedding reception?" 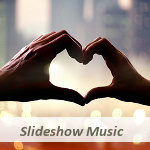 The best way to tackle planning your wedding reception songs and music is to take it one step at a time. We have broken down the wedding reception into "scenes". Each scene has a particular goal and mood. Understand what each one of them need in order to provide the best end result and choose the perfect wedding reception songs for each of the scenes. 2. Try to see your band or DJ in action before the date. Many bands and DJs will have a demo tape that they can send you. Alternatively, ask them for details of when they will be performing next so you can arrange to see and hear them in action. When going to hear them, also keep in mind that they may be playing the choice of the bridal couple, so asking for references is also a good idea. 3. 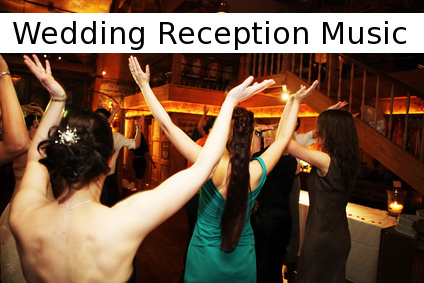 Let your reception venue know what type of entertainment you will be having, since some venues only allow live music. 4. If you are having both a live band and a DJ as your wedding reception entertainment, make sure there is enough room at your venue for both to set up and perform. Check with your musicians on what they will require. 5. Check with your band or DJ if they will be supplying any sort of lighting, and if they are, if you need to make additional arrangements for space and power supplies. 6. 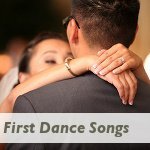 Make sure your band knows well in advance what song your have chosen for your first dance and of any special requests you have in case they need to practice. For DJs, let them know both the title and artist's name so they bring the right version with them, and will have time to locate the correct song should they not have it. 7. Have a meeting with your band and/or DJ well before the wedding to discuss how you would like the evening to run. It is your party after all, but they may have useful input that you may not have considered. 8. Ensure that a contract is drawn up (or at the very least get it on paper) to outline the duration your musicians or band will play for, the number and duration of any breaks and the cost of any overtime. 9. Always confirm your booking in writing and get a receipt for your deposit. 10. 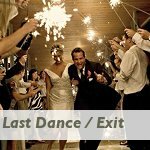 Give your band or DJ an outline of the evening's order of events, the time they will need to set up, a number of anyone to contact should they have a problem while setting up (you can give this responsibility to your wedding planner, best man or MC), as well as clear directions to your reception venue should they not know where it is. 11. Always check with your venue till what time you may play loud music. If you don't check you may want your party to continue into the night, but your hotel venue may need to set up for breakfast the next morning and will want you to wrap things up at midnight! 12. Ask your MC or best man to introduce himself the the band leader or DJ as soon as he/she arrives at the reception venue. 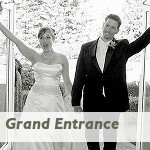 They will need to coordinate many things on the evening together starting the the grand entrance. 13. 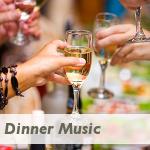 Check with your chosen musicians whether or not they have a standard wedding reception music list which they can provide you with. 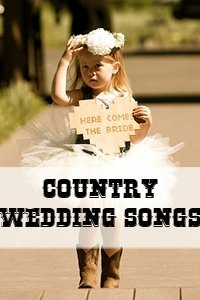 This will include songs they play at most weddings and will be a guideline for you in choosing songs you would like to hear. 14. Provide your band or DJ with not only a list of your special songs and requests, but also with a list of songs you don't want to hear. 15. Last but not least, your music makes your moments. 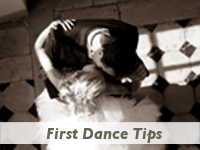 Work with and ask advice from your wedding musicians or DJ to create the effect, and the memories, you want to have. 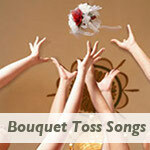 Above all, have fun choosing your wedding reception music! 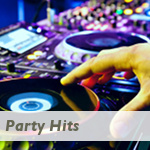 If your wedding wedding reception music will include dance music, you may want to read Wedding Reception Party Tips. Looking for some more inspiration and a few newer tunes to choose from? 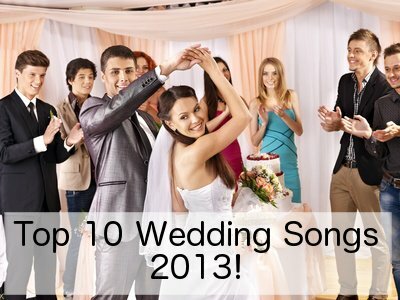 Have a look at our list of the top wedding songs of 2013. 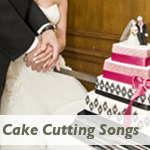 There are songs from quite a few genres and they are all great to add anywhere in your wedding day.